Hilke MacIntyre was born in Germany near theDanish border. 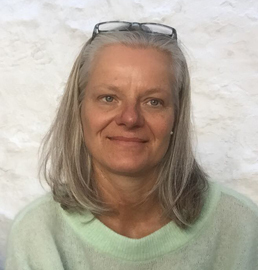 She studied architecture at the College for Art & Design in Kiel and worked for various architects until she moved to Scotland in1995. 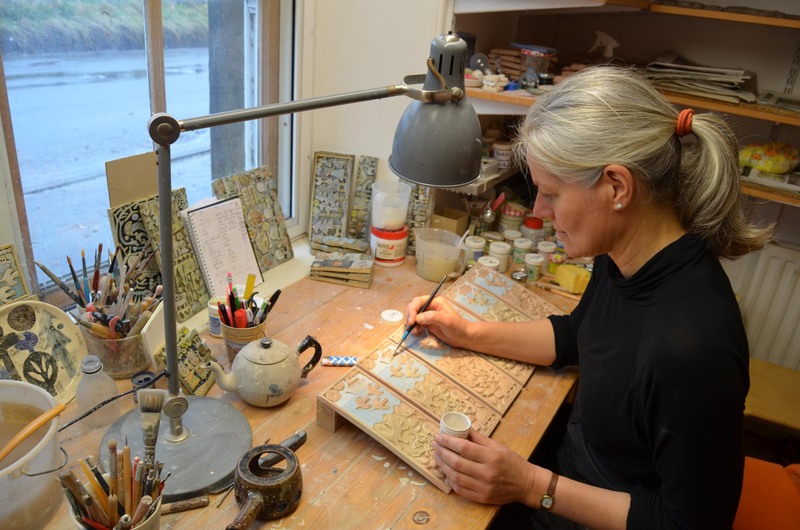 Since then she has focused on printmaking, ceramics and painting, combining a simplified figurative style with bold shapes, strong colours and abstract patterns. 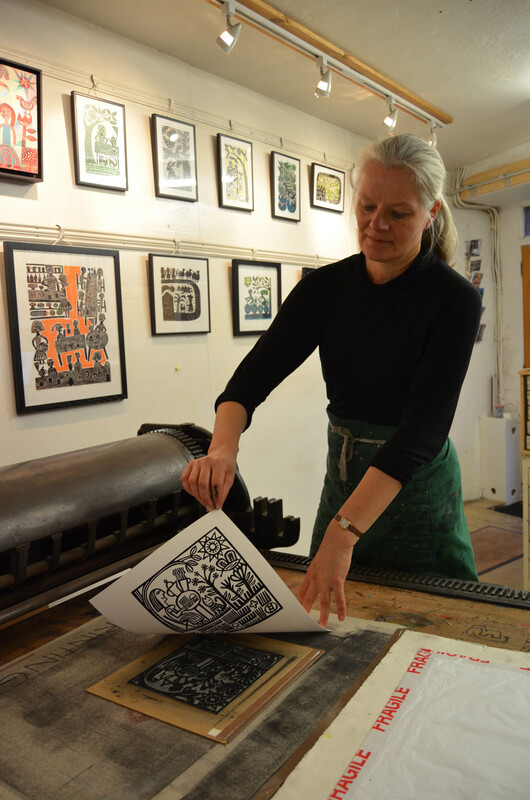 Her work is widely exhibited in galleries throughout Britain and her linocuts and woodcuts have been used for numerous illustrations. She lives with her family in a small village near St Andrews.